What creates the credentials to start writing? Many authors always loved words and books from an early age. That wasn’t the case for me. I hated everything to do with school and teacher-led learning. Throughout my education, I didn’t encounter a single book I enjoyed reading. I struggled through the Lord of the Rings, because everybody else raved about it. I completed it, but didn’t immediately sink into the world. That came much later. Leaving school as soon as I could, I was in employment at 16. 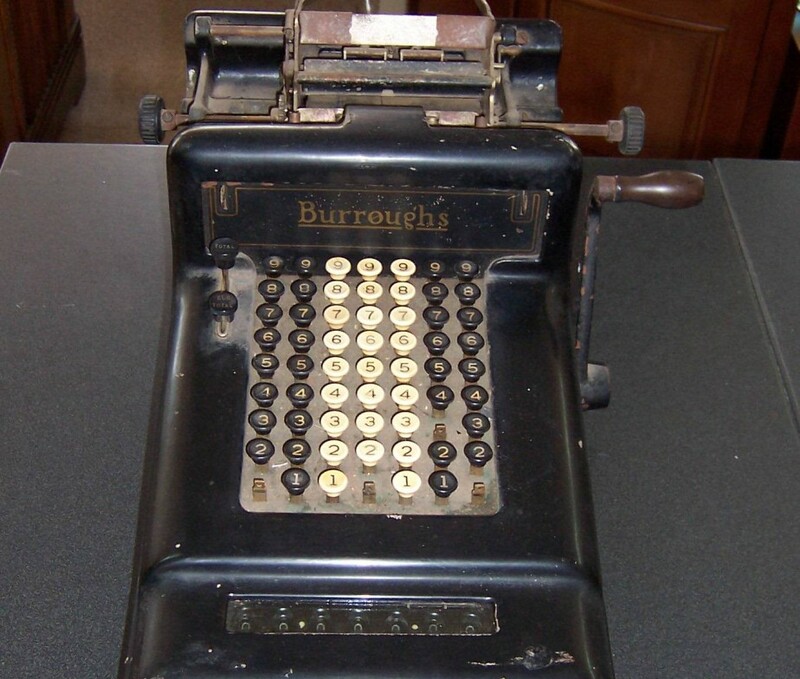 Rapid career shifts placed me working for the adding machine company – Burroughs, just at the point where they were making the move to electronic computing. I certainly attribute my steampunk/ gearwheel tendencies to fixing mechanical adding machines. 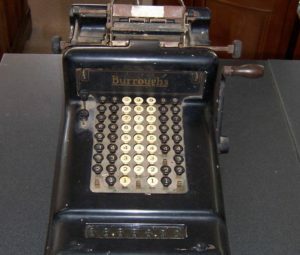 I had one client, a Jewish accountant company who possessed a black cased, manual adding machine they said it had come over from America in the war. I loved that machine. I visited it to polish the case. (The new ones were grey crinkle covered steel, or worse, plastic.) The black enamel would polish to a shine you could see your face in. The keyboard had deeply inlaid keys worn smooth with use. Inside the case I lavished love with an oil bottle and a cloth so that it gleamed. Of course, I shouldn’t have been giving so much attention to a single machine, I should have been out in the rain on the streets of Manchester with my tool bag, but what the heck. I don’t take full responsibility for the collapse of Burroughs. I was just a minor cog. Ray, an older engineer, invited me around to dinner. I was stunned to see how many books he had on the shelf. He selected Harry Harrison, Stainless Steel Rat and suggested I tried it. He wouldn’t lend me his copy. Yes, he was one of those kind of readers. I owned my 65p copy for over forty years. Where my beloved books went is another story entirely. At the age of 23 I started on the track of light science fiction. I became one of those readers who is reluctant to lend a book out. I developed a hate for any who might consider putting a coffee mug ring on a cover. This entry was posted in Personal, reading, steampunk, Writing on August 28, 2016 by Eric Tomlinson.